We never stop improving Kanban Tool. Even if it is snowing and bitter cold. Today we have for you a brand new collection of Developer Tools power-up scripts. We hope that they will make customization and use of Kanban Tool even easier. 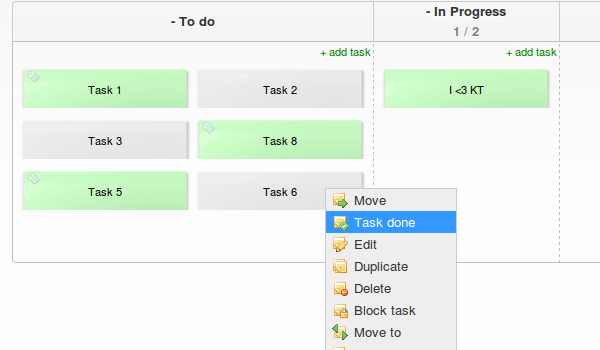 This script adds a new option to a task view. 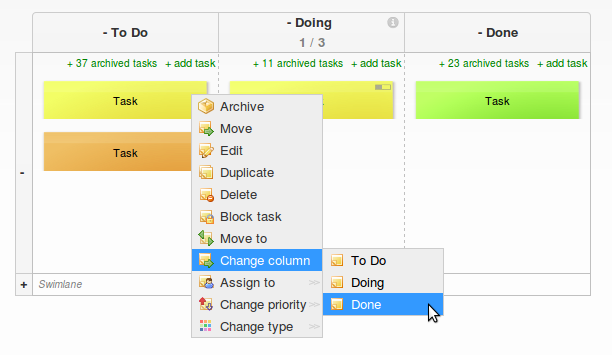 If you will check the option 'Task done', the task will be saved and moved to the last column. After activating the script, the new option "Task done" will be displayed in the context menu. 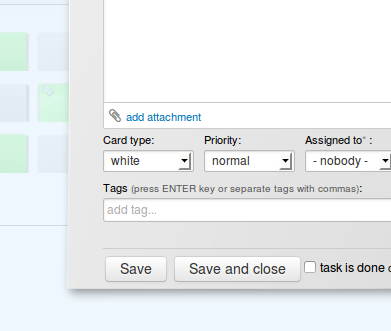 It will allow you to quickly move the card to the last column on your Kanban board. This script will help you move tasks between columns even faster thanks to an additional menu item. Would you like to know how long the tasks are on your board? This script makes it possible. "Working time" option will allow you to see the information on how long the task is active. The time will be displayed on the card in the left corner. Do you have any upgrade ideas or would you like to see new features being developed in the future? Send us your feedback at support@kanbantool.com.